Woman, go and get a driver! Nwanyi, ke ihe ina anya?! Woman, what kind of driving is this?! Woman, get out of here! These insults and directives, always shouted of course (especially when my mom was behind the wheel), colored my childhood in Nigeria. They were common enough not to be particularly startling to a child—it was just how things were—but even so, they bothered me. What bothered me even more were the special ekpo (masquerade) dances that I wasn’t allowed to watch during the festive Christmas seasons I spent in my village of Abiriba, because … Woman. You see, I loved the ekpo dances—the colorful attire, the movement, the stories, the mystery behind the masks. There were the ones performed by local kids who danced for tips for anyone who beckoned them to their house. Those were the most fun because you could enjoy them up close. My brother and I were always on the lookout for passing ekpo troupes, incessantly beckoning them to perform for us and exhausting our parents with cries for more money to tip the troupe. Then there were the larger, more aggressive dances that we would sometimes go watch in the street. Occasionally the dancers would chase you, and you would have to run for your life. You see, these masqueraders are said to be spirits from beyond, so there was no shortage of tales of calamities that might befall a child if an ekpo caught you or if (gasp) you unmasked one. Still, we couldn’t resist the thrill of the chase. But then there were the special dances—the most feared and the most exciting—which I wasn’t allowed to see because … Woman. You’d have to cover your eyes or run away if you were female and happened to be in the same area when they appeared. I always wanted to know what being a girl had to do with not seeing this particular masquerade. I never got a satisfying answer, perhaps because there was none! 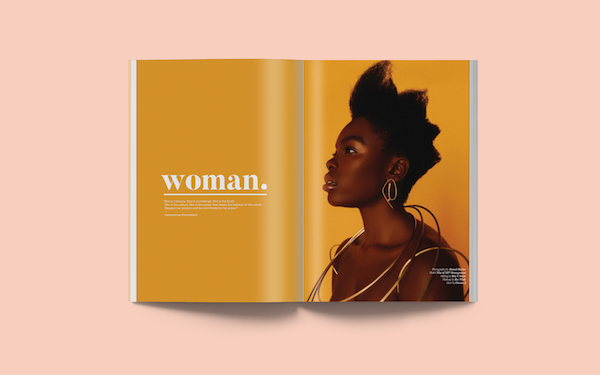 Here in Radiant Issue 12, The Womanhood Issue, we are reclaiming our womanhood to embrace all that makes us women, to celebrate how far we’ve come, to boldly examine the battles yet unwon, and to unapologetically press on. 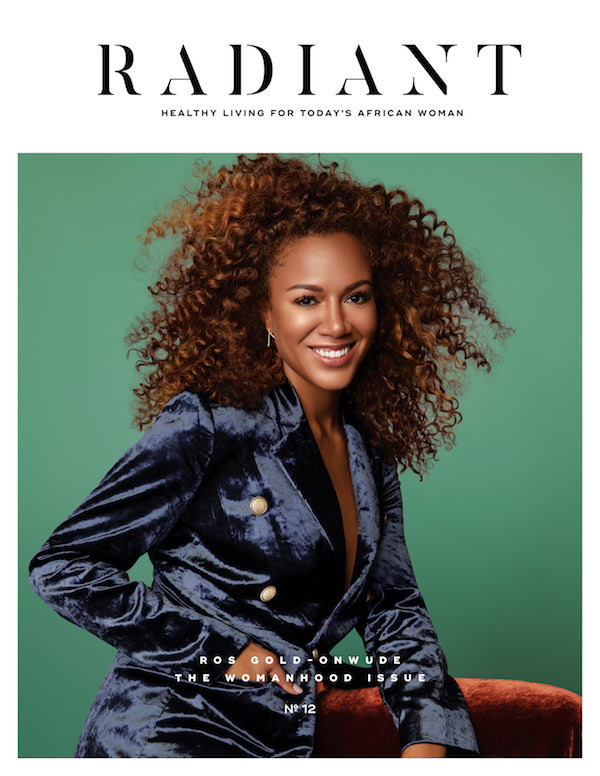 I couldn’t be more thrilled about our cover girl, the amazing, talented, and beautiful spirit that is Ros Gold-Onwude. Ros is dominating a space that didn’t have her in mind when it was created, and doing so with grace and style. 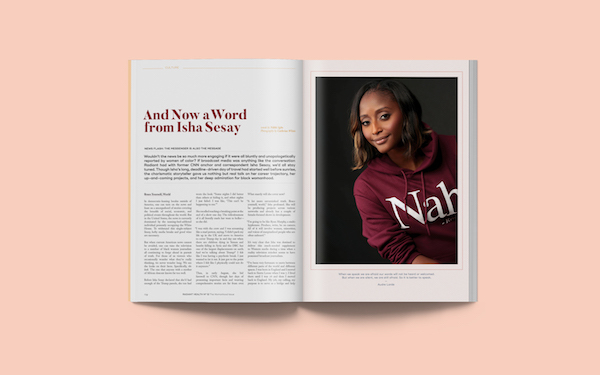 Hers is a story of kindness, resilience, sheer determination, and staying true to oneself. Also in our amazing lineup are Nigeria’s LGTBQ activist Pamela Adie; actress, womanist, activist, pole dance and twerk queen, and overall fitness guru Kelechi Okafor; and Isha Sesay, one of the most recognizable faces on the news, who recently left her post as a CNN International anchor and correspondent to focus on girls’ issues in Africa. But wait, as they say—there’s more! More spectacular African women, that is, including the founder and creative director of the award-winning handbag Nuciano, Joy Egbegemba; health food advocate and innovator Agatha Achindu; and Comfort Momoh, MBE, the renowned campaigner against female genital mutilation (FGM) who established one of the first FGM clinics in Britain. 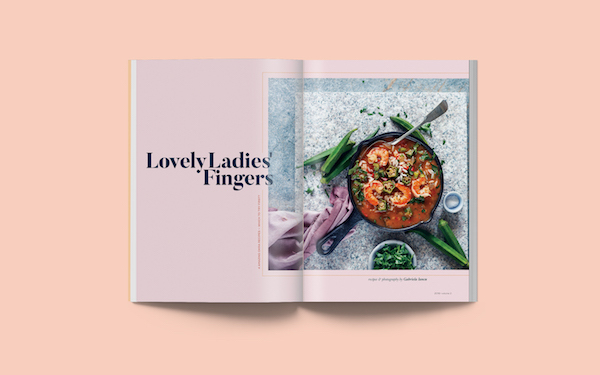 As you delight in these and many other treasures in this issue, don’t skip our local champ—those lady fingers also known as okra. The colorful okra dessert recipe made me wish for a technology advanced enough to allow you to eat directly off the page! My team and I had a lot of fun producing this issue. 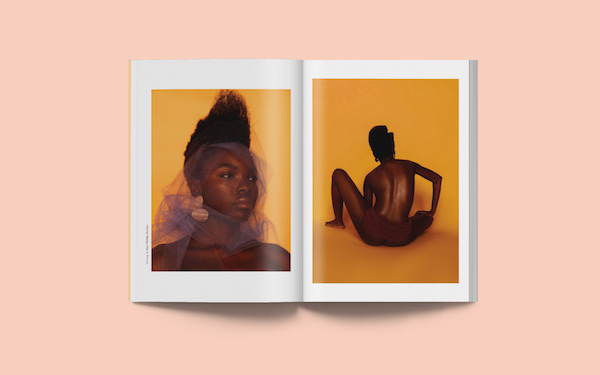 I hope you’ll find within its pages health and healing, and that you come away with a renewed sense of purpose and pride as you reclaim your power as Woman. From the bottom of my very grateful heart, I thank you for another year of wonderful support for the work we do here at Radiant. I wish you and your loved ones a perfect close to 2018, and your best year yet in 2019. 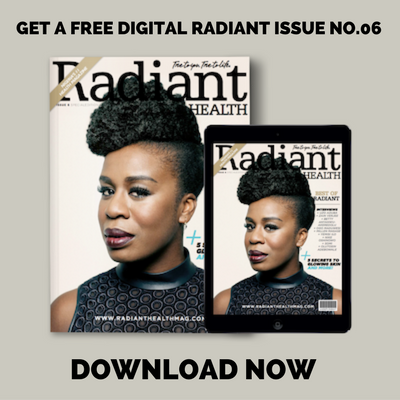 Radiant is available in Barnes & Noble stores and other retail outlets. Order your copy online (we ship worldwide!) or check our stockists for a store near you. Next Article: Looking for podcasts on mental health? We’ve got a list for that!